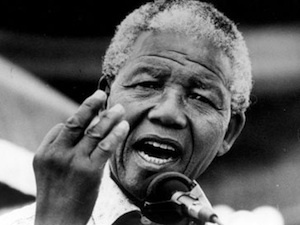 The following article was published to the ANSWER Coalition's website on July 18 to honor Nelson Mandela on his 95th birthday. The ANSWER Coalition joins the millions around the world mourning the loss of this legendary fighter for liberation. As we remember his life, and as corporate media outlets attempt to co-opt it, it is important to keep in mind that Mandela was a revolutionary targeted by U.S. imperialism. (July 18, 2013) Today is Nelson Mandela's 95th birthday, but forget the crocodile tears from the U.S. government about Mandela's poor health. Imperialist diplomacy with all of its sugar-coated phrases is nothing more than a form of historical perjury.